Broadband SKMM or also called Broadband 1Malaysia has been distributed since early 2012. In my opinion, the broadband package is clearly a great bargain for those interested to have a mobile internet connectivity. The SKMM Broadband comes in several version such as Maxis Broadband SKMM and also Celcom Broadband SKMM. The best feature of the broadband is the cheap monthly price. For a mere RM25 per month, you can enjoy internet connectivity for the entire month. The bandwidth for the broadband package is limited but you can still access the internet, only that the speed is reduced a bit. Although the package is good, the SKMM SIM card is rare.By rare, I mean you can never find the SIM card being sell on mobile phone shop or retailer. Only selected agent can sell the SIM card. You can find the agent quite easily on the internet. Mobile phone is a technology gadgets that keep changing. The trends move so fast. Today you have a mobile phone which supports up to 2GB disk space and 5 mega pixel camera, and tomorrow suddenly you will hear that a new model that supports up to 5 GB disk space and 8 mega pixel is already out. If you are someone that follow the trend, I am going to share with you a secret tips to help you sell your used mobile phone on classified platform such as eBay or Mudah. I know you are quite worry to sell your phone online. Sometimes we heard bad news related to online business. Scamming is happening everywhere. However if you follow this guide, the chance for scamming to happen is minimal. To avoid scammer that do not buy for a product, it is best to get full payment from them. Then you can start packing your mobile phone and send them using post express. To avoid future issue, it is best to pack the phones correctly. Make sure you wrap the mobile phone using span or bubble wrapping. You can get this item on supermarket for a cheap price. If the buyer insists to pay only after the item arrive, you can forget him. Or you can suggest him to do cash on delivery. Setup a meting place with him and ask him to meet you there. By doing this, your buyer can verified the condition of the item. If the item is good like you mention on your listing in Mudah or eBay, the buyer will be more than happy to spend money for the used item. If you decided to sell your used mobile phone on Mudah.com, you should do this step to gain some trust. I believe you are active in certain forum. So make sure to promote your listing in the forum. Then you just need to put a link for the forum post in your Mudah.com listing. The three steps above can significantly help you in getting a lot of potential buyer. Be aware that once you started the advertisement in Mudah classified, your phone and mailbox will be flooded with price query and negotiation. I believe Mudah is the best place to buy and sell online since you can list your product for free and the site especially Mudah.com Selangor receives thousands of visitors that are willing to spend money on something good. Besides Kuala Lumpur and Selangor, Mudah.com Penang is quite busy as well. Penang is an island that have lots of shopping places. Now Penang even have a shopping place focusing on digital items called Digital Mall. It is located in Komtar. Lot of things are sold here including DSLR camera, anti virus programs, and latest phones. If you are one of the business owner in Penang especially in gadget business, it is wise to expand your business by selling your products online. The easiest platform to do this is by using Mudah.com classified site. Not only you can list products for free, the site even receives huge amount of traffics everyday. Using online platform can boost your business daily sales thus means extra bucks at the end of the month. 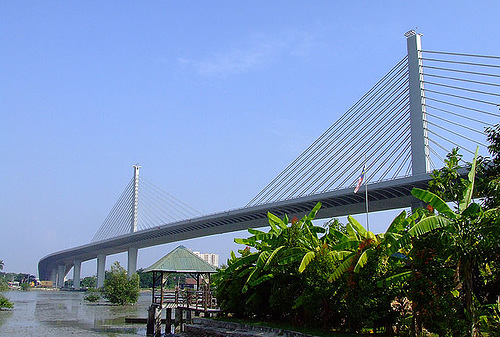 Here are some quick tips to help you get started in Mudah Penang. First, people will only buy from the person they trust. Thus if you are active in any forum such as Lowyat, it is wise to state the fact in your listing so that potential buyers know you are real. This is quite important as I have heard a lot of scammers in Mudah today. Actually, it is not Mudah.com but Mudah.my. For those that do not know, Mudah is an online platform in Malaysia that works like a classified site. The best about Mudah is that it is a free platform. Thus everyone can benefits from Mudah by selling items or buying items using the platform. Although Mudah Selangor is not the only state in Malaysia that can use Mudah classified site, it is no doubt that Mudah.my users from Selangor are the one that heavily use the classified platform. Using Mudah, they can buy things online and sell things online. Some of my friend from Selangor always check Mudah prices to get good quality second hand items for a low price. Compared to other classified or bidding site such as eBay or Lelong, they find that prices in Mudah is the best of all.